DETROIT -- Chrysler Group today announced a promotion offering no payments for 90 days on new 2012 vehicles. The promotion, which starts today and runs through May, is applicable to any Chrysler, Jeep, Dodge, Ram or Fiat model financed with Ally Financial or Chase Auto Finance. 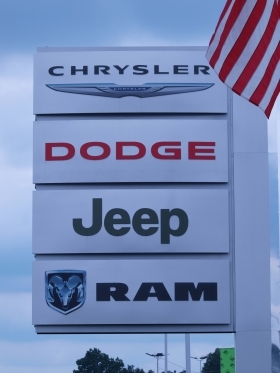 The deal comes on the heels of Chrysler's announcement last week that it would enhance its military discount program for active duty personnel, reserves and veterans until the end of the month in conjunction with the Memorial Day holiday. Those qualifying for the military discount will receive $1,000 off an eligible vehicle. Military personnel typically receive a $500 markdown on new Chrysler vehicles. The 2012 Dodge Avenger SE, the Chrysler 200 LX, Dodge Journey AVP, Fiat 500 Abarth, SRT models and the Viper are excluded from the military discount. Chrysler Group's U.S. sales rose 33 percent to 539,216 vehicles during the first four months in an overall market that grew 10 percent.